Which scent suits you best? Designer fragrances are being launched on quite a frequently basis in this day and age. So much so it is quite difficult to keep up to date with the names and the brands of which perfume you actually adore the scent of. Most people find it such a challenge knowing which fragrance to purchase especially when a new type comes out. We will always have an original which we wear daily, but it is nice to revive our senses with new scents for special occasions such as a party or gatherings. Personal preferences come into play when choosing perfumes as gifts, which makes us ideal around Christmas time. Most of us know the scents we like, and tend to stick with it for as long as it is produced but what if that perfume was discontinued? Go ahead and experiment a little, as senses change, grow, and adapt as we age there may be something we didn't particularly like the smell of 5 years ago but is so much more appealing today. Here is a rundown of our most advisable top 3. 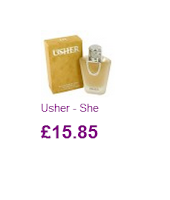 This fragrance represents strength and sexiness, mystery and a journey, Usher quoted when he launched this fragrance. It is fruity and floral, so if you have a long tedious day ahead planned, this is ideal as it will keep you smelling fresh. 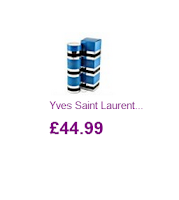 YSL Rive Gauche was created in homage to the intellectual, hip and slightly more bohemian side of Paris. YSL Rive Gauche is a true fragrance classic and was created in 1971 and sustains its floral and aldehyde blend of notes. Perfect Original which everyone will appreciate. Obsession Night for Men, the scent features notes of pear, cardamom, artemisia, and grapefruit with a hint of nutmeg and musk. The fragrance was created in 2005 and includes such an intense aroma we highly advise it be on your shopping list this Christmas for the Mr in your life.